Some of the projects we've had the pleasure to be part of. 2016 brought the release of Shapeshifter's latest LP "Stars", and with it Nocturnal created a new visual experience for the band. A fixed installation project for the Omaka Aviation Heritage Museum in Blenheim, New Zealand. The Stalingrad experience is part of the museum's latest hanger and exhibition "Dangerous Skies". 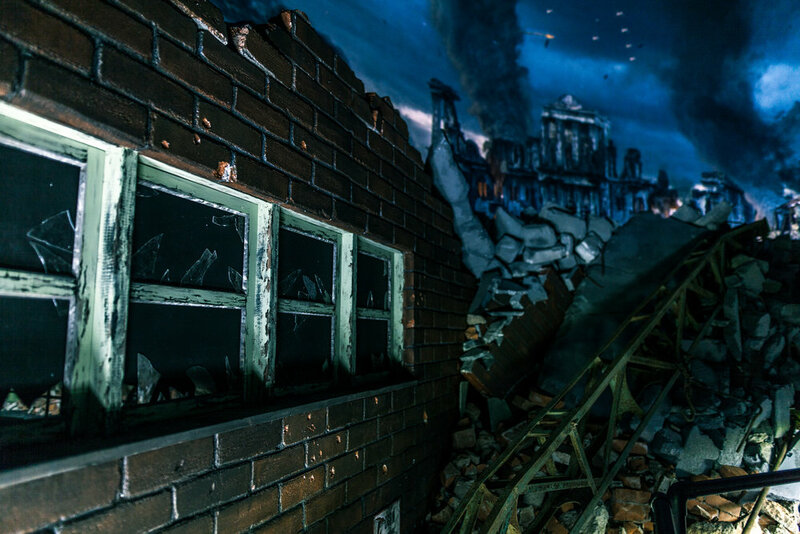 Set in the WWII era, the Stalingrad experience immerses the viewer within a ruined factory building looking out to a heavily damaged Stalingrad cityscape. Working under artist Joseph Michael, Nocturnal was key in the creation and delivery of the Antarctica experience. The world premier of Antarctica - while you were sleeping was held over 3 nights in March 2017 on Auckland’s historic War Memorial Museum, and is set to be displayed at multiple locations internationally over the coming years. LUMA is an award-winning arts and culture festival based in Queenstown. Over 35,000 locals and visitors from all over the world attended LUMA last year, which transformed Queenstown’s famous Gardens and lakefront into a dazzling display of glowing art.